Winning is often a battle and there are times in the life of every team player when he or she needs to fight for victory. 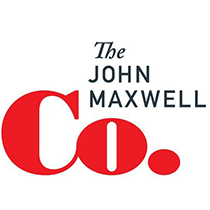 John Maxwell shares the importance of investing in a cohesive team that celebrates one another. Confined to the sideline, coaches can’t play in the games, but that doesn’t mean they aren’t fiercely competitive. Muffet McGraw, head coach of Notre Dame’s women’s basketball team, has an intense will to win—and her teams seldom do anything else. Entering this year’s NCAA tournament, Notre Dame owned a perfect record of 32-0. McGraw has led the Fighting Irish to 19 consecutive berths in the NCAA tournament, and her teams have made five appearances in the Final Four, including the past three (2011, 2012, 2013). Notre Dame won the national championship in 2001 and is one of the favorites to win the title this year as well. A pivotal moment in Muffet McGraw’s leadership journey came in 1997. Her team was poised to make a run in the NCAA tournament, and she was proud of their hard-work and consistently excellent performance. “I told that team in the middle of the NCAA tournament how much I cared about them, and how much I enjoyed coaching them. They didn’t believe me. They thought I was just telling them that because I wanted them to keep winning!” McGraw was taken aback by their reaction. Although she had earned the respect of her players, she had obviously not won their affection. Driven to achieve victory after victory, McGraw had failed to balance her competitive spirit with personal connections to her people. As a result, players viewed her as an exacting taskmaster rather than as a caring leader who was concerned about them on a personal level. To her credit, McGraw has taken steps to build stronger relationships with her players. For example, every week she schedules a short appointment with each member of the team. The one-on-one meetings have no agenda other than to allow McGraw to hear what’s happening in her players’ lives and to get to know them better. While remaining focused on winning championships, McGraw has begun to win with people—and it’s made her a more effective leader as a result. Winning is often a battle, and there are times in the life of every team player when he or she needs to fight for victory. But if you’re always preparing the team for battle, your troops soon become war-weary. That’s why it’s important to invest in the cohesiveness of the team by taking time to celebrate one another and to have fun together. Relationships determine the morale of the team. Invest in them, and you will better sustain the energy and endurance of the team, while making the journey more enjoyable for everyone involved.